Parkingtim-hosting is Cloudflare Certified Hosting Partner and offer Cloudflare’s free Universal SSL to all of customers… When you ordering hosting package just click this free addon: Cloudflare’s Universal SSL (with CloudFlare DNS ). 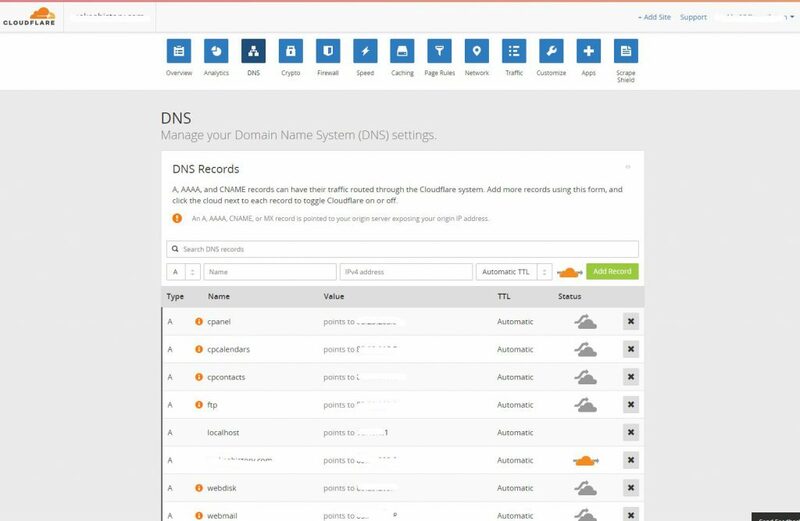 Automatic scripts will step you through the process to add your domain to Cloudflare. Full DNS integration built-in, making it the fastest way to get up and running with Universal SSL. 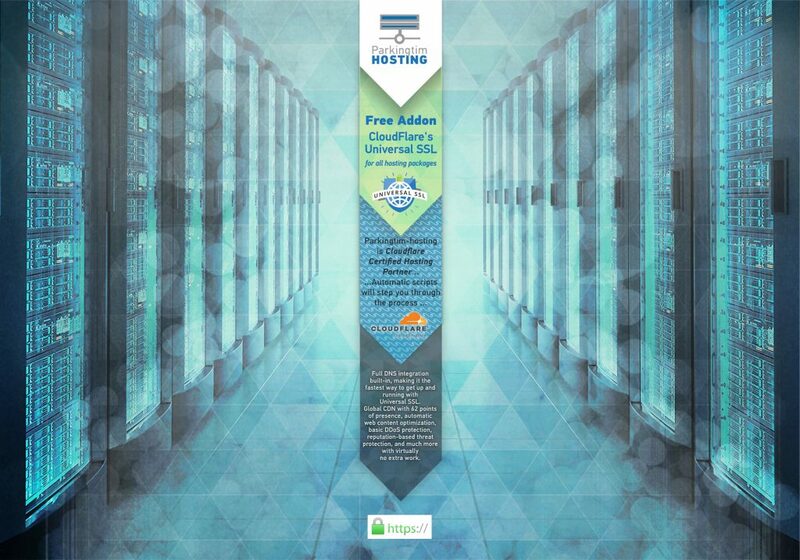 Extra: global CDN with 62 points of presence, automatic web content optimization, basic DDoS protection, reputation-based threat protection, and much more with virtually no extra work. 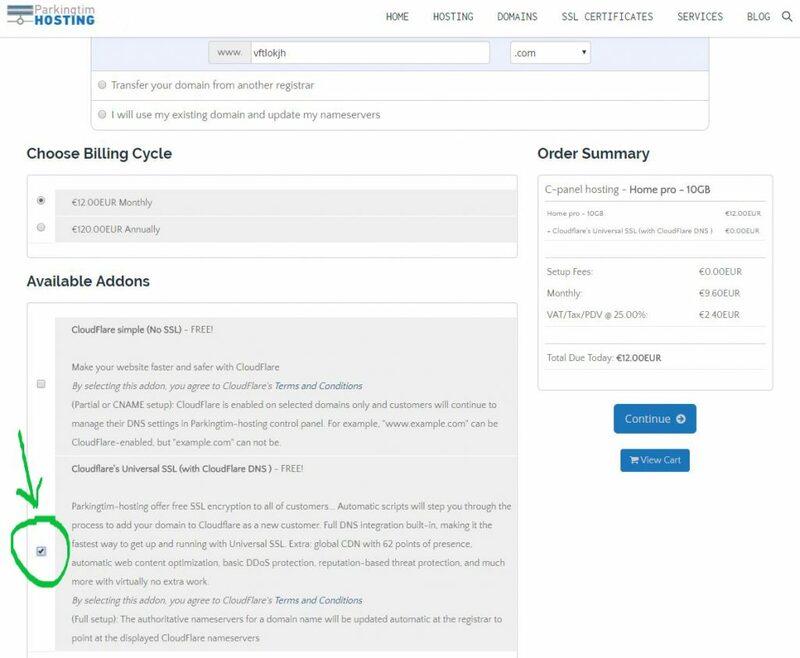 HTTPS encrypts your visitor’s data and provides integrity, so that the no one can modify or read what’s being sent and received or perform a man-in-the-middle attack. It helps protect you from attackers big and small – from governments to coffee shop hackers. Five years ago, developers would have probably winced when asked to set up HTTPS. 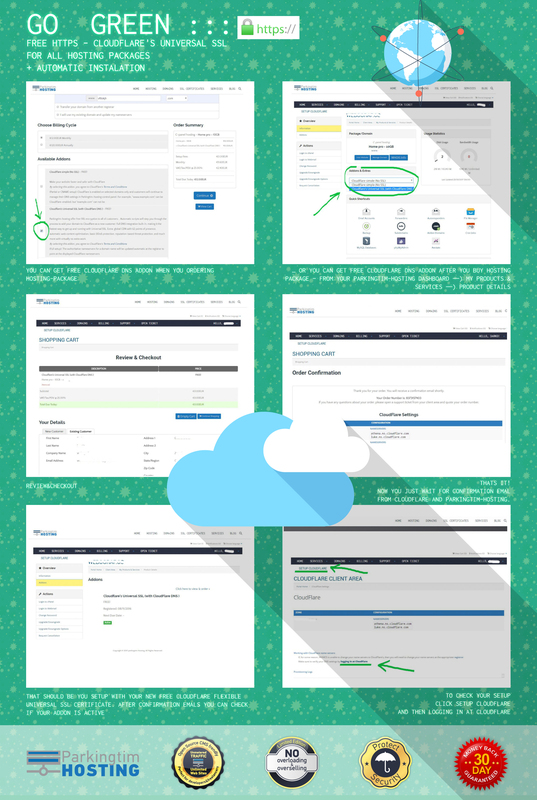 But today, with Parkingtim-hosting packages, it is a totally different story. HTTPS has gone from an essential yet sidelined technology, to one of the most important aspects of your website. Then, you’ll see this screen. Your work is finnished. 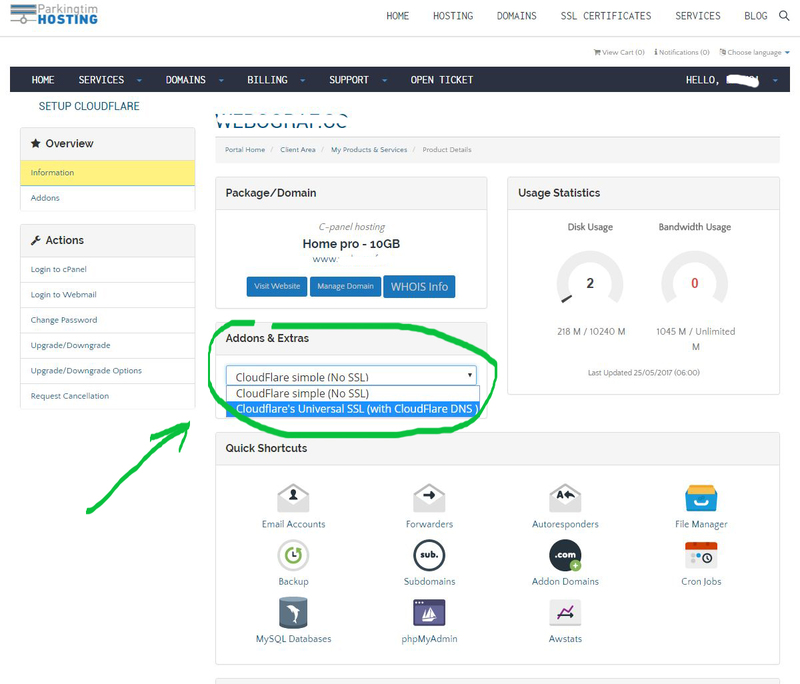 All setting will be prefilled (Cloudflare will find best nameservers for your address). Now you just need to wait (up to 15 minutes) for confirmation e-mail from Cloudflare (your login E-mail and Password will be evident – they are the same us your Parkingtim-hosting login details). 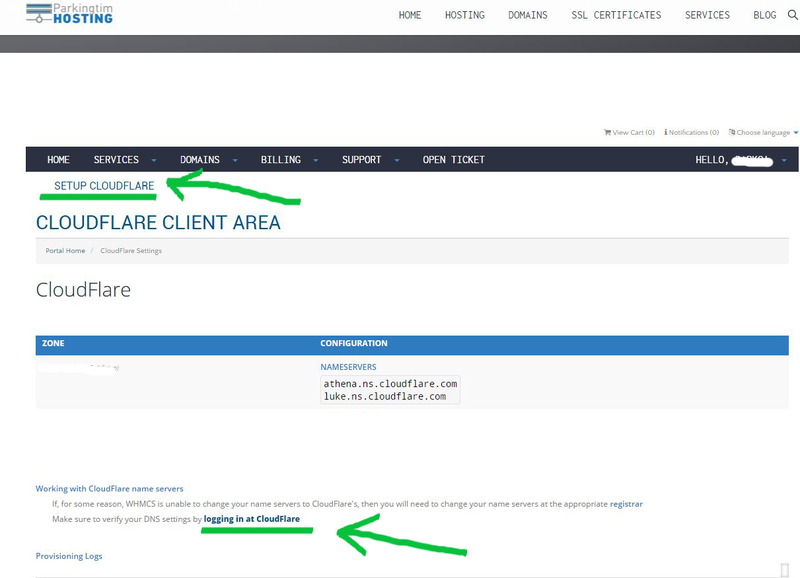 You can change password with Claim your Cloudflare password at: and have new Cloudflare password, then type new password before SUBMIT. 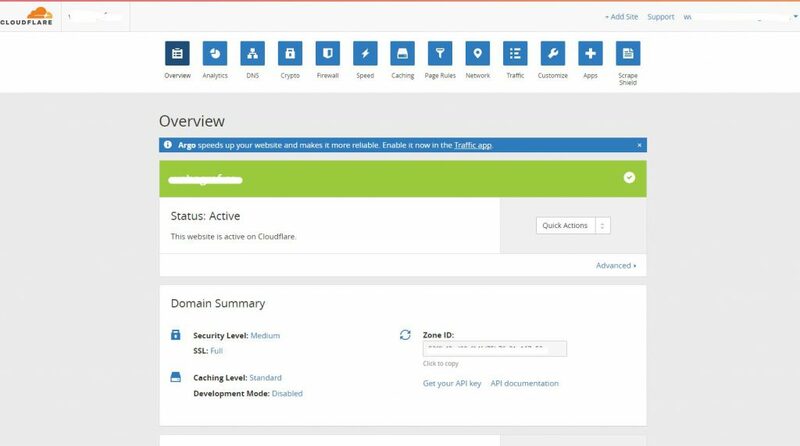 Cloudflare Setup is finished. 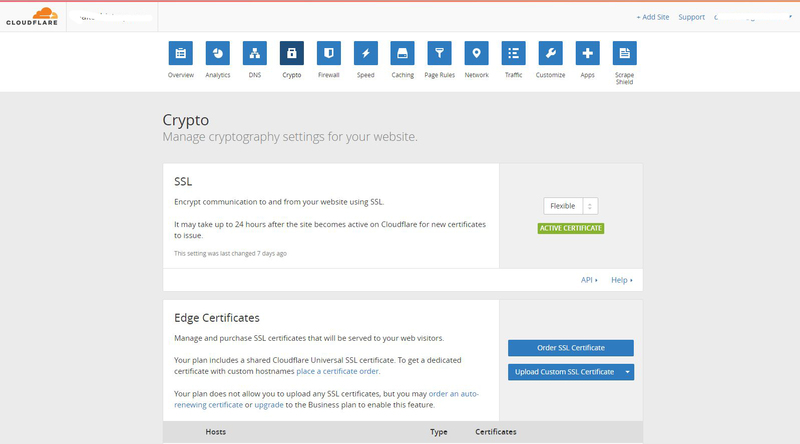 Congrats, you’ve successfully installed SSL (Cloudflare Universal SSL Certificate) and enabled the HTTPS protocol! And made your visitors less prone to attacks. 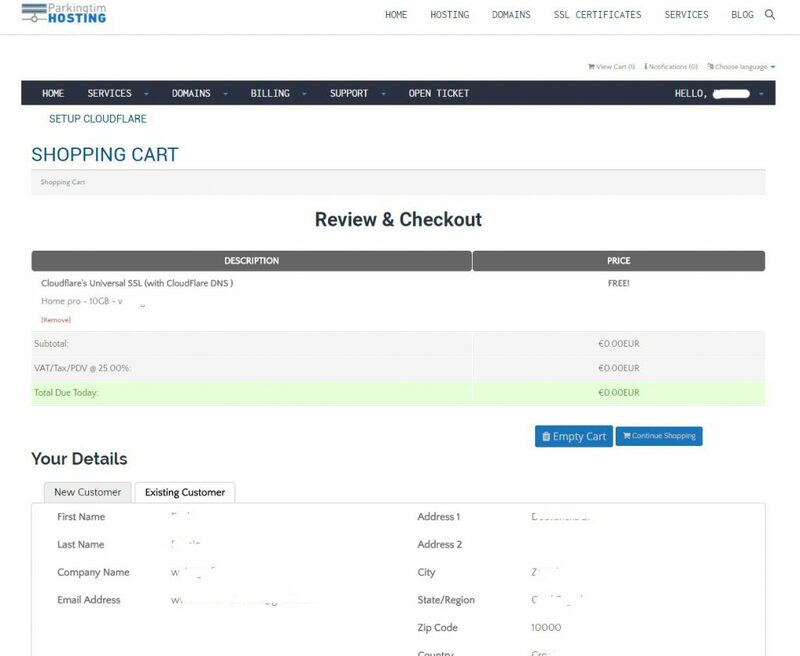 You can breathe easy knowing that any information they submit on your website will be encrypted and safer from packet sniffing hackers . 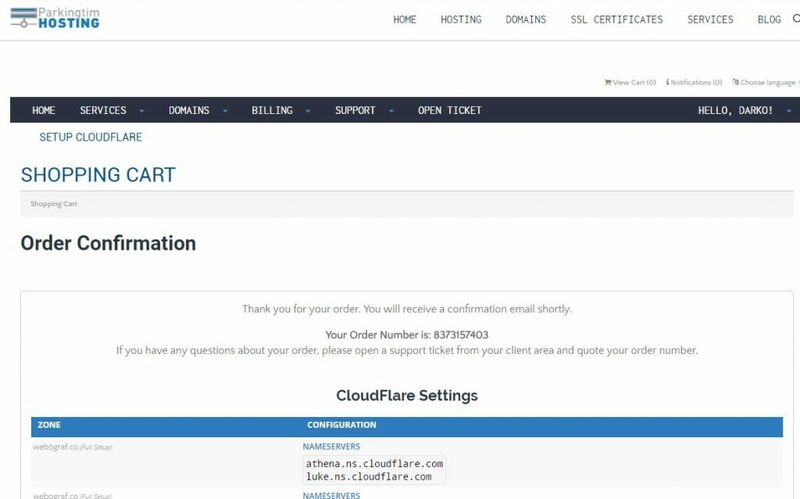 You will receive CloudFlare Full setup confirmation e-mail (screen bellow) – with Recommended First Steps for all Cloudflare users. 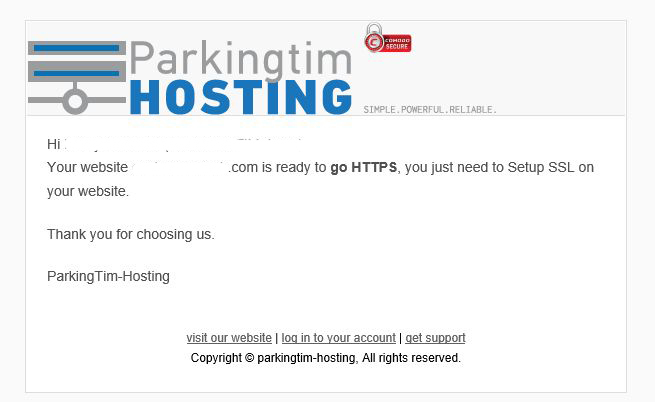 Then you need to wait some minutes for Parkingtim-hosting scripts to activate SSL (Secure Sockets Layer) technology, and SSL-encrypted connections. 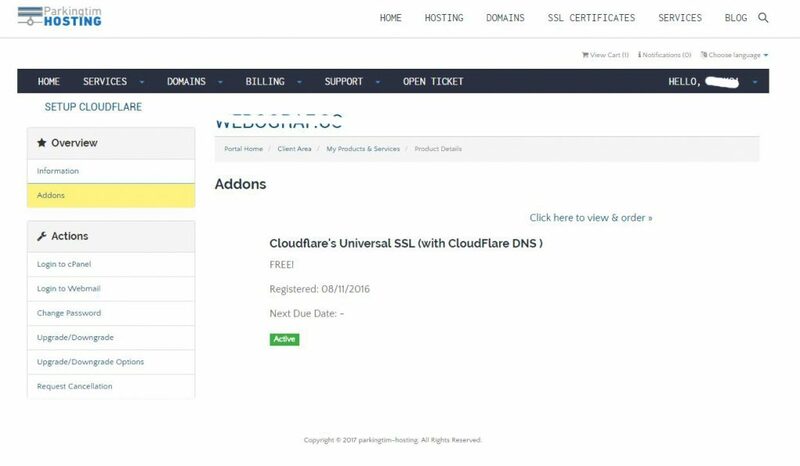 After you receive confirmation e-mail (screen bellow) — Parkingtim-hosting: You are ready to lounch HTTPS with CloudFlare’s Univerzal SSL certificate you just need to Setup SSL on your website. How do I add a SPF record? 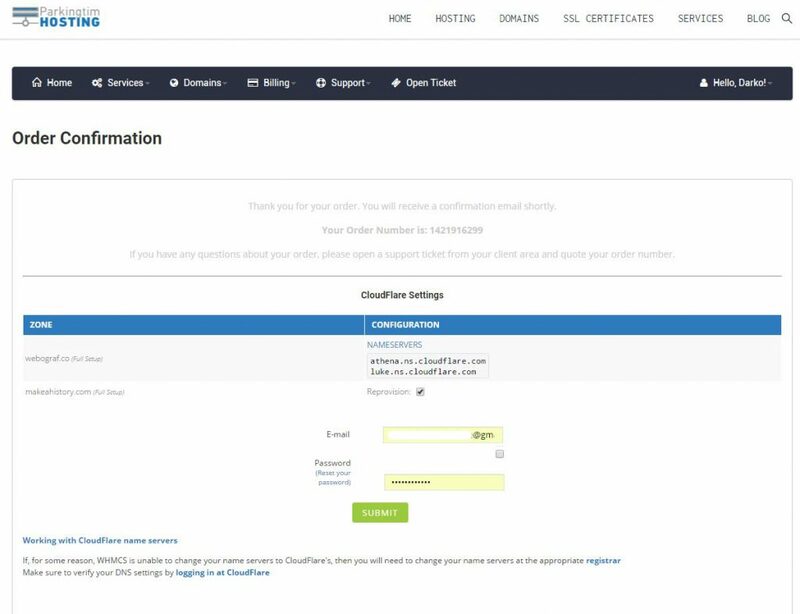 How do I add DKIM records?